Dare to be bold in a pair of our women's red trousers. 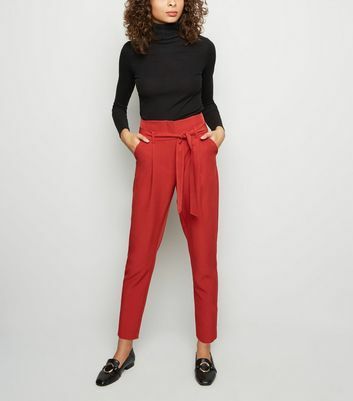 From burgundy trousers in classic wide leg styles to statement red flare trousers in leopard print, our red trousers are perfect for lending a pop of colour to your ensemble. Team up with a black lace bodysuit to take your look from day to night seamlessly.